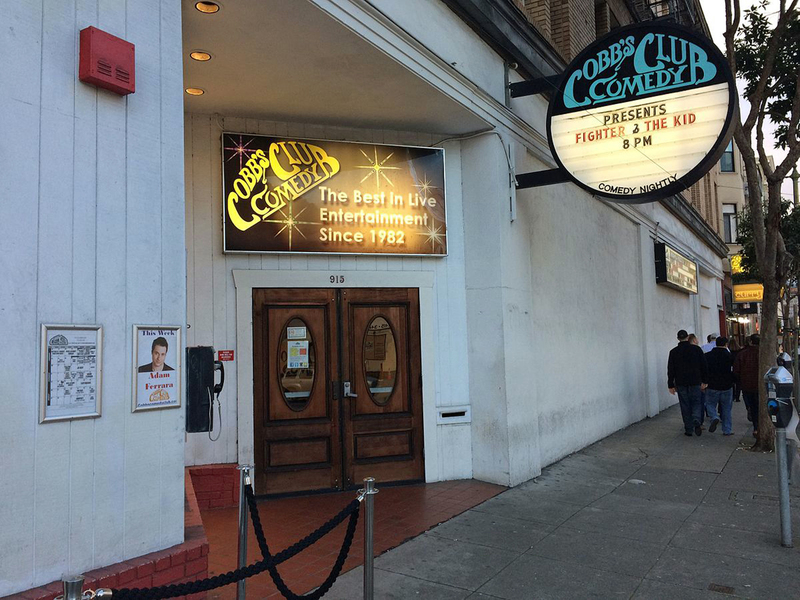 7: San Francisco Off-Off-Off-Broadway - "Arranged by Denis Moreen"
Open your golden gate . . .
Of all the golden west . . . 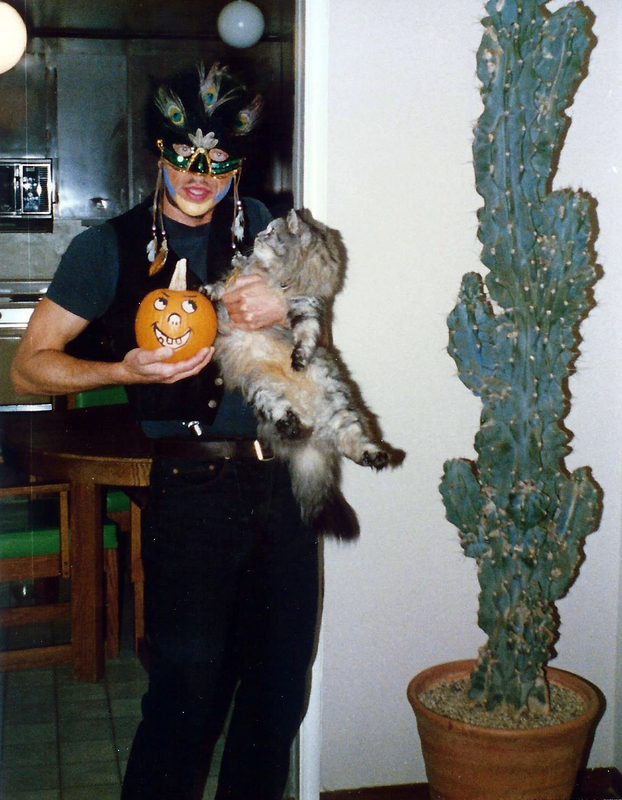 In 1970 my partner Rob and I decided we wanted to live in warmer weather, so we moved to San Francisco. I brought with me ten years of experience as a professional musician, along with a whole filing cabinet of music arrangements I had created over the previous decade. The arrangements soon became quite handy when I discovered performance venues in the bay area. After settling in San Francisco, I started looking for music work. One night while visiting a rather notorious bar, I got to talking with one Fred Howell. We soon learned that we were both show-biz enthusiasts, so social bar talk went out the window. Instead, in true Judy and Mickey tradition, we said "Let's put on a show." And we did. It became Spoonful of Sugar, a musical revue with a cast of 16. This production still remains one of my all-time favorite musical experiences, and I treasure the friendships I made with the cast. 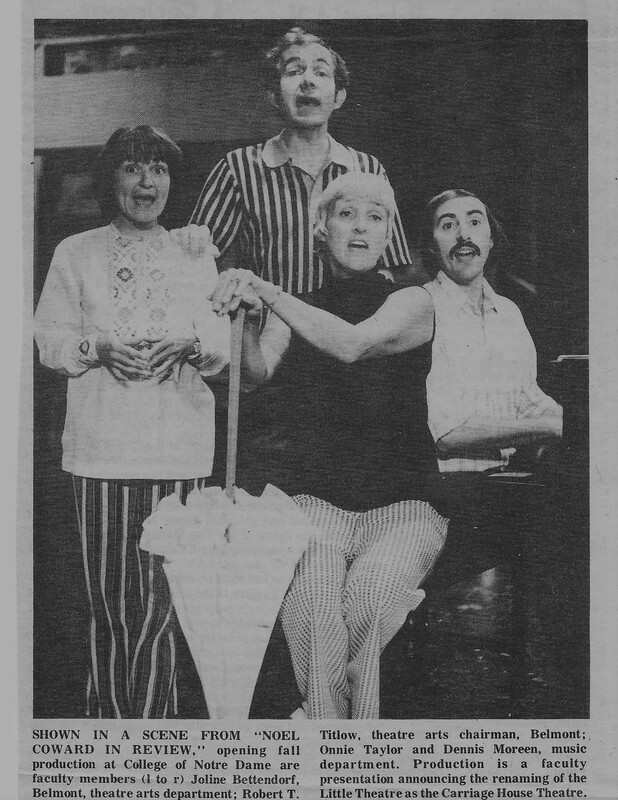 I began arranging music for Spoonful and remembered that two years earlier, at New Trier High School West, I had written a setting of the song "Brotherhood of Man" for the student-directed stage production, Potpourri. So, faster than a speeding bullet, I took my older setting, re-arranged it for another group, and -- voilà! -- a new arrangement was born. 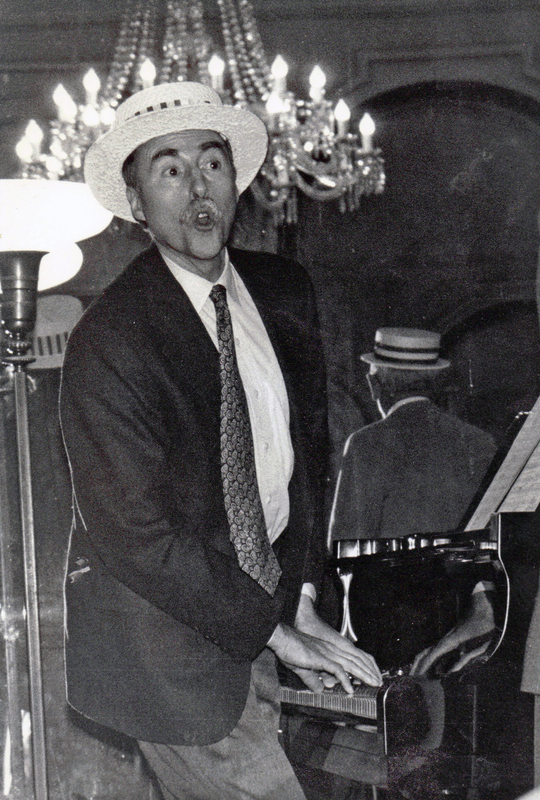 This version featured a vocal solo by Oscar Jackson. P.S. 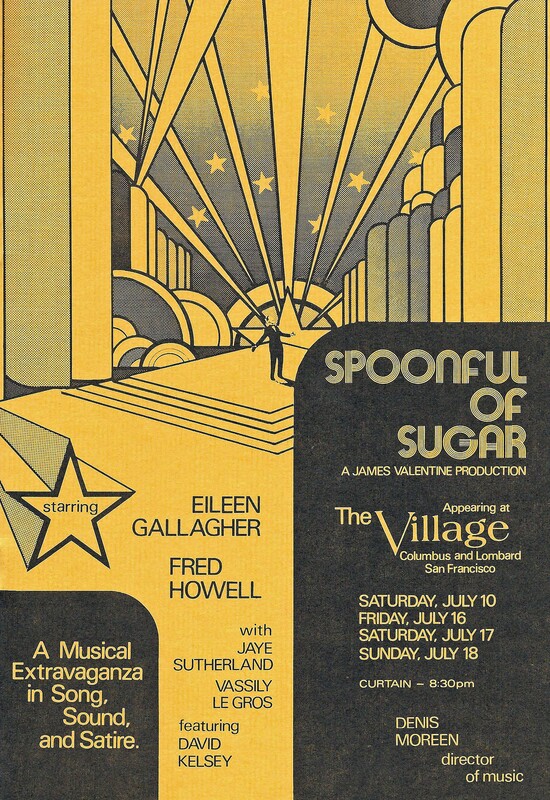 Spoonful of Sugar was also memorable because Don Cavallo, the choreographer, and Henry Soares, one of the chorus members, owned a San Francisco restaurant/bar called The Fickle Fox. 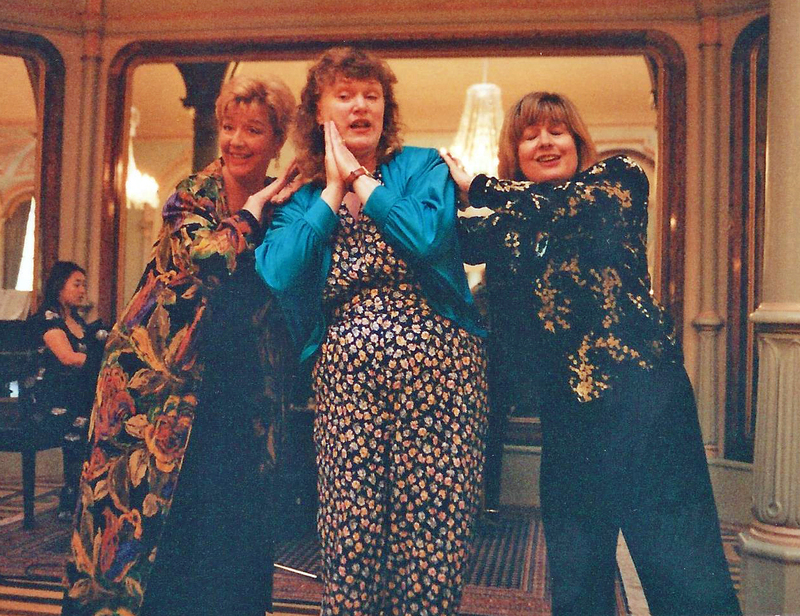 They invited me to join their staff as house pianist and cabaret host, a job I continued -- for 15 years! 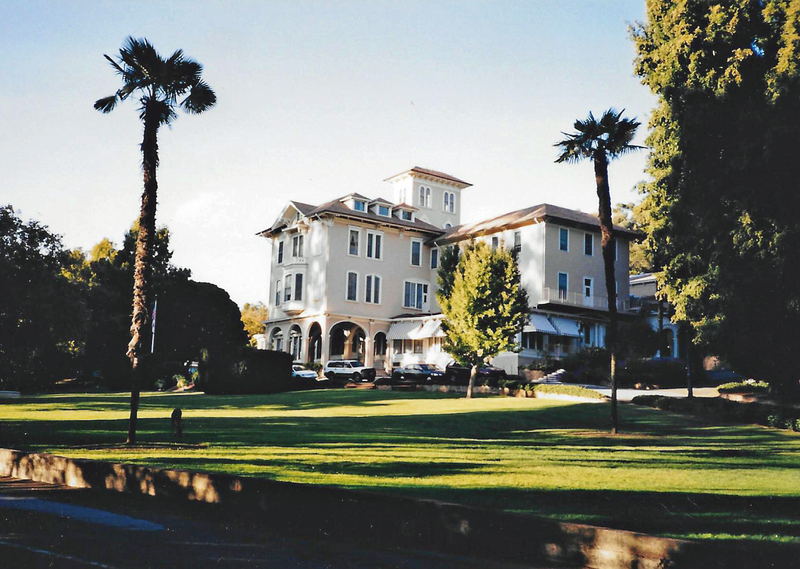 In 1970 I began pursuing a music doctoral degree at Stanford University, south of San Francisco in Palo Alto. I looked for accompanying positions and soon found myself working with Director Robert MacKinnon and his Stanford Men's Glee Club. 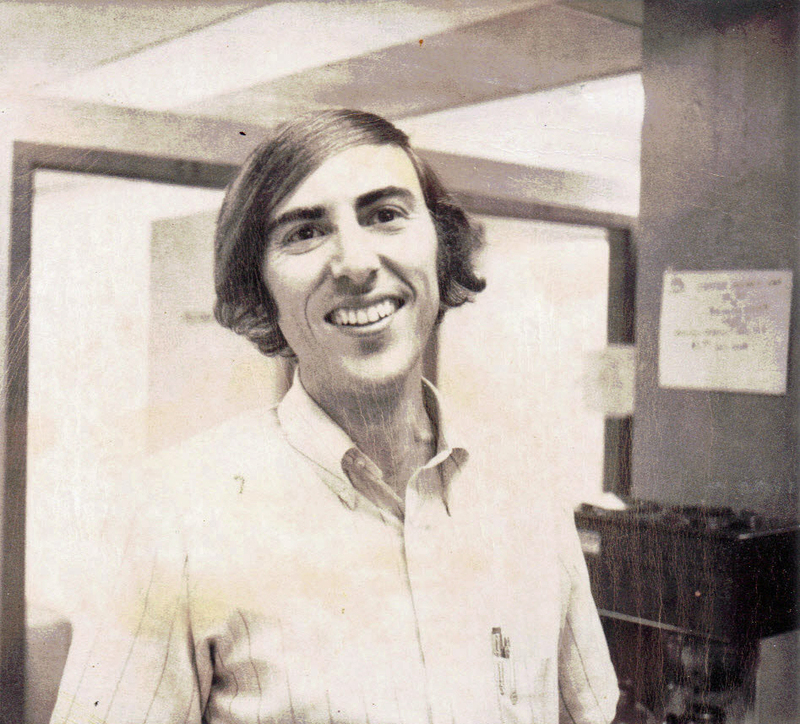 I left the Glee Club when I graduated from Stanford in 1974. In 1980 Bob asked me if I'd like to serve as interim director of the glee club for six months while he went on sabbatical leave. I said yes and began planning repertoire for the group, which by then had become a coed chorus. Stephen Sondheim's Sweeney Todd had opened in 1979, so I decided to program one of its songs, "Not While I'm Around." At the same time, I realized that the glee club women's group "The Naturals" loved an arrangement Bob had written for them of the old standard "My Buddy." So why not combine the two songs into what's now known as a mashup? Which I did, and which you'll hear. 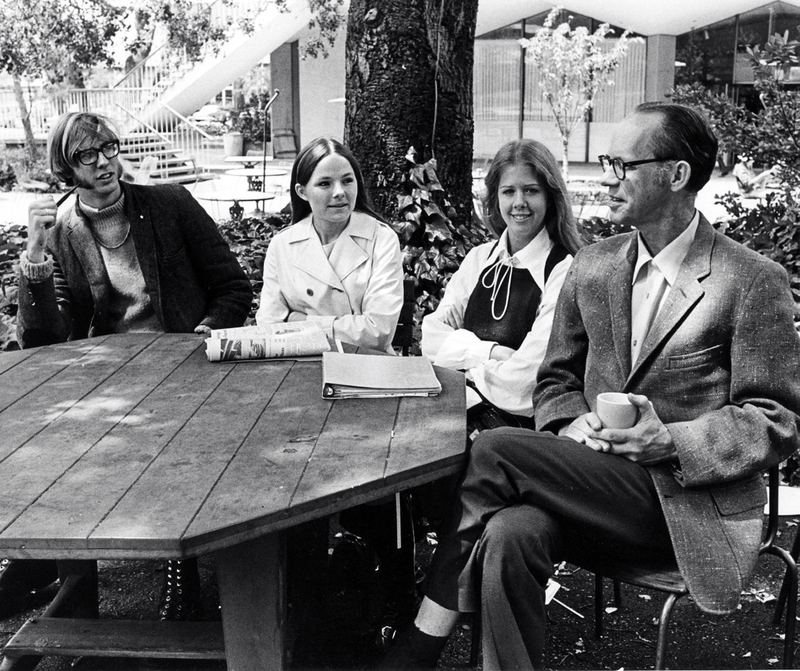 In 1971 I began looking for teaching jobs and discovered College of Notre Dame, a wonderful small institution in Belmont, about half-way between San Francisco and Stanford. I started out as a temporary instructor with one summer course and ended up teaching there for over thirty years. At CND I met Robert Titlow, Chair of the Theatre Arts Department, and we became close friends and colleagues. 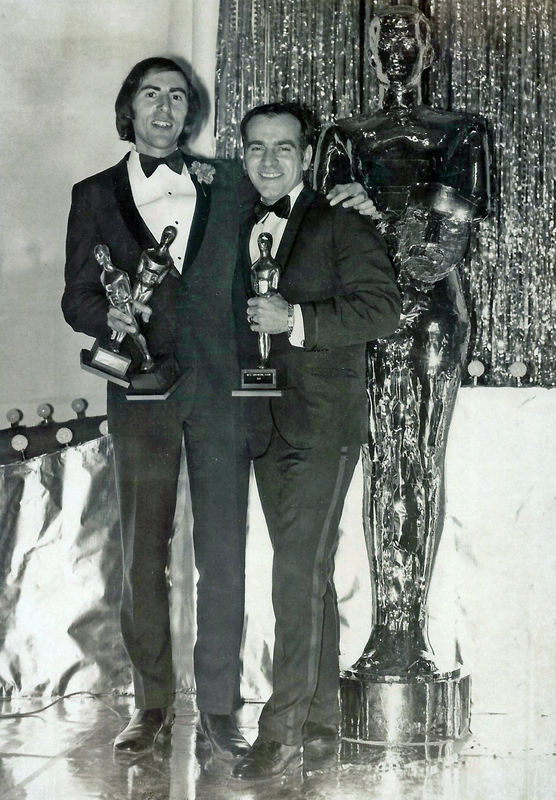 Bob and I decided to mount our own musical revue in 1981, dubbing it Lullaby of Broadway. Featuring a cast of about twenty singers and dancers, it became in intense labor of love ("let's put on a show" -- to the max). I arranged most of the vocal and instrumental numbers. The show became so popular that we mounted a second version in 1990 and then re-formatted a traveling version in 1995. 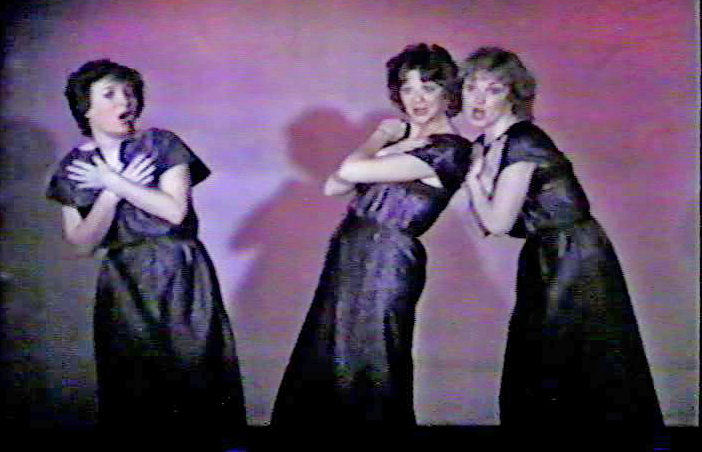 "Manhattan" from the 1981 Lullaby production features three women and is accompanied by two pianists - yours truly plus my former student and good friend Chris Khoury. 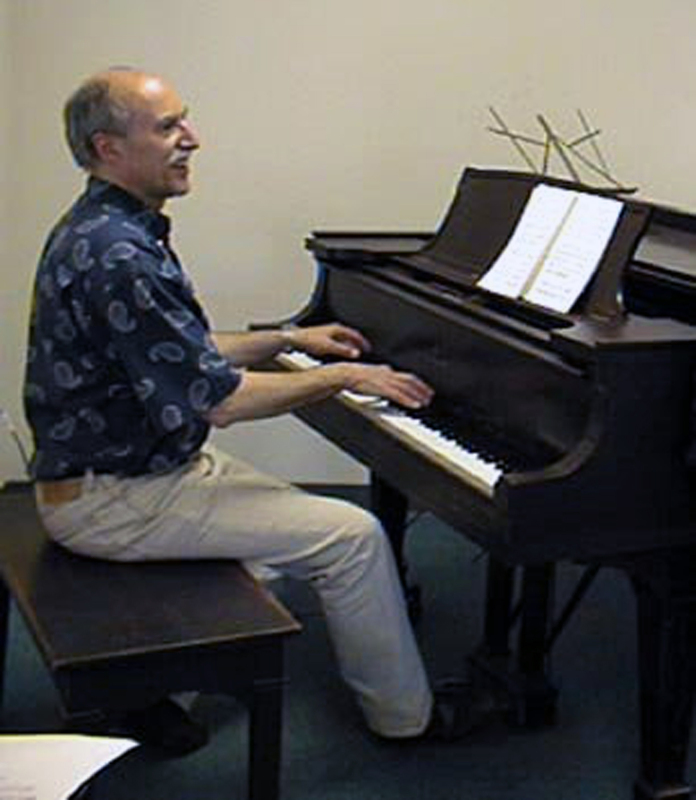 Chris and I served as duo-pianists for many musicals over the years. 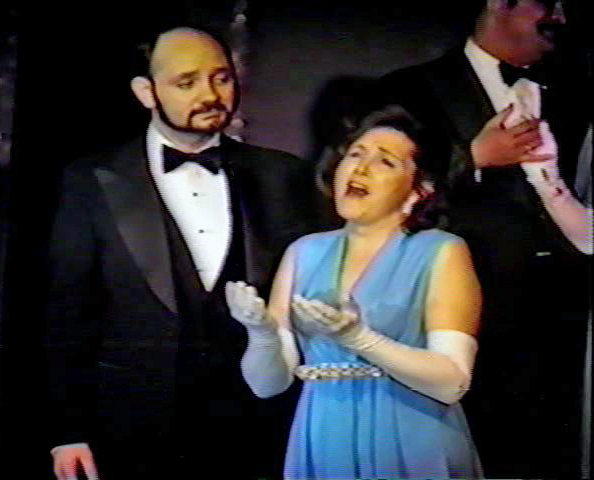 Also performed in Lullaby of Broadway was a long sequence entitled "Salute to the Operetta," featuring six of the College's most experienced singers - both students and teachers. "Ah! 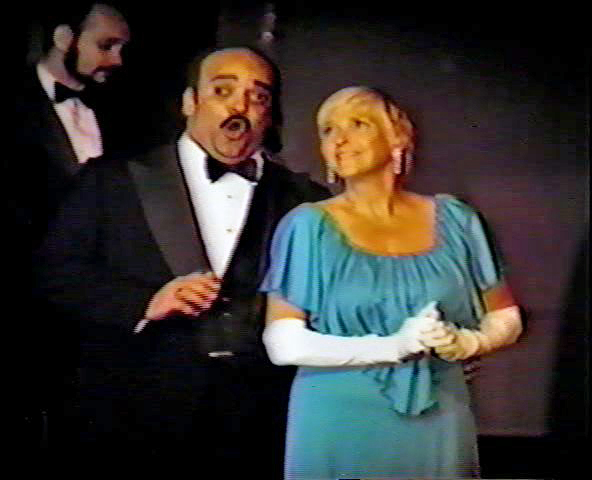 Sweet Mystery of Life" was the finale for this medley of operetta favorites. 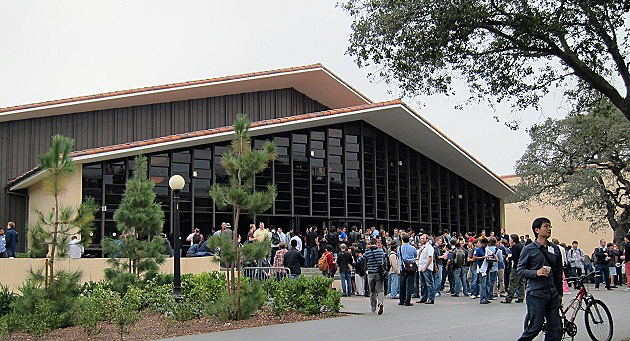 Beginning in 1970 my primary teaching, arranging and performing venues were College of Notre Dame and The Fickle Fox. Recordings of arrangements from these two venues can be heard in other chapters of this website. 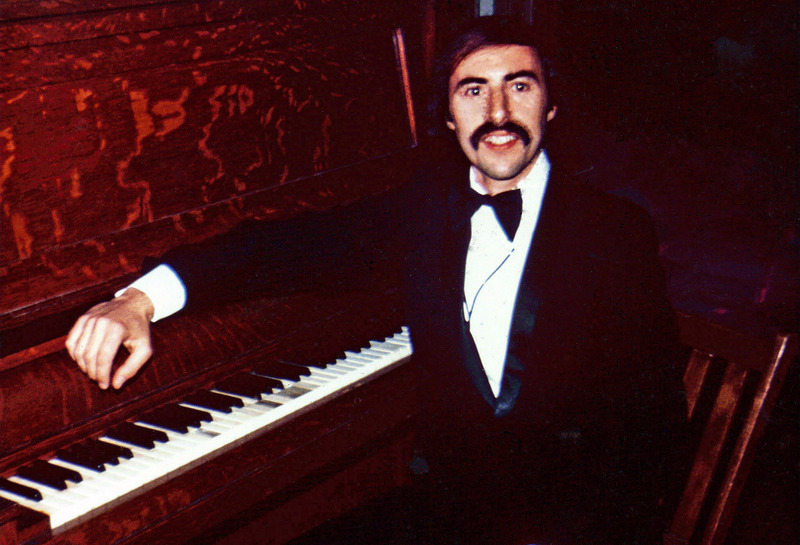 From 1970 to 2005 I also worked as musical director and arranger for some staged shows, cabaret revues and solo recitals in San Francisco. 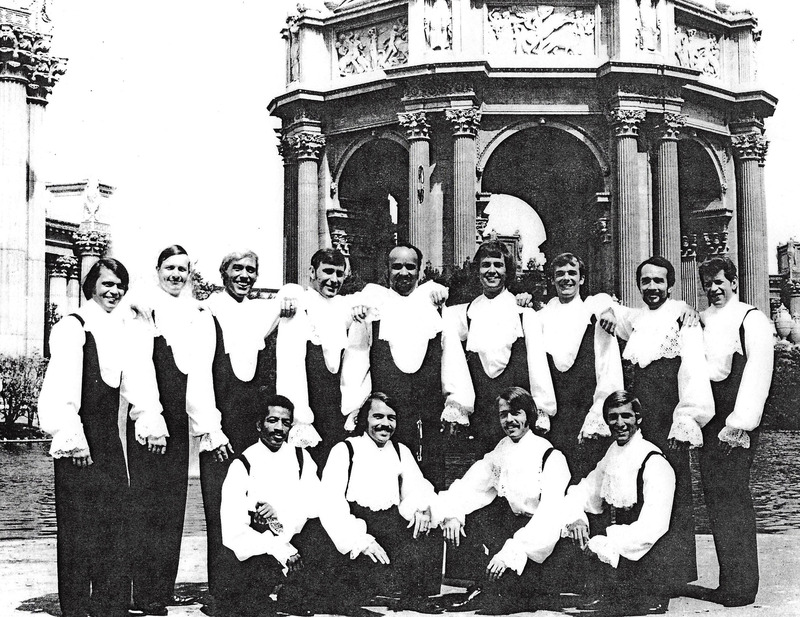 In the 1990s I began accompanying several choral groups, most importantly Ragazzi Boys Chorus in San Mateo. 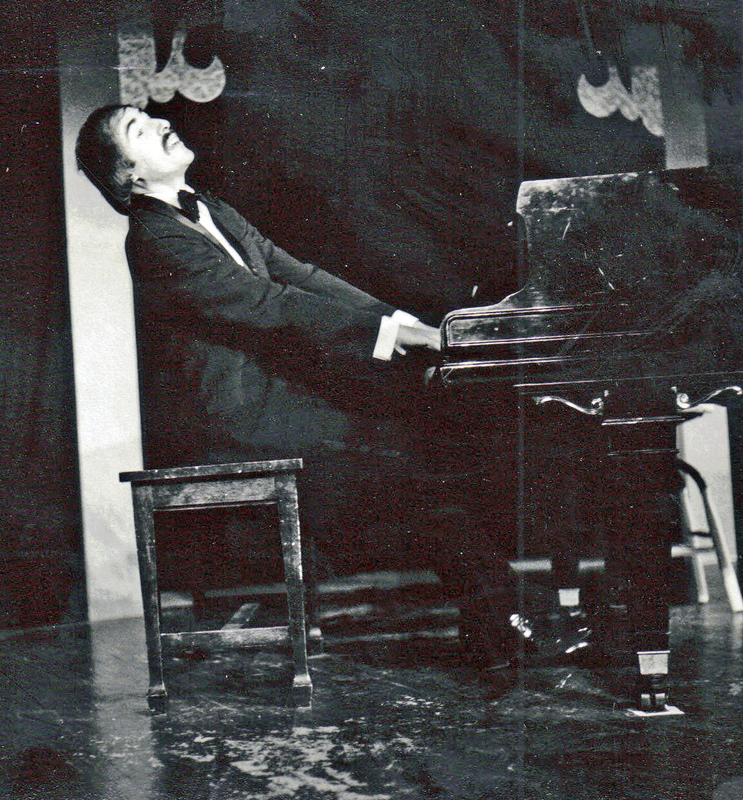 I often arranged music for various performances, which unfortunately were not recorded for posterity.